Are Zoos Safe Havens For Animals? Between 2006 and 2009, I had the great privilege of living in the Colombian Amazon. When I moved out there from the U.K., I took my beloved canine friend, Woody, with me. 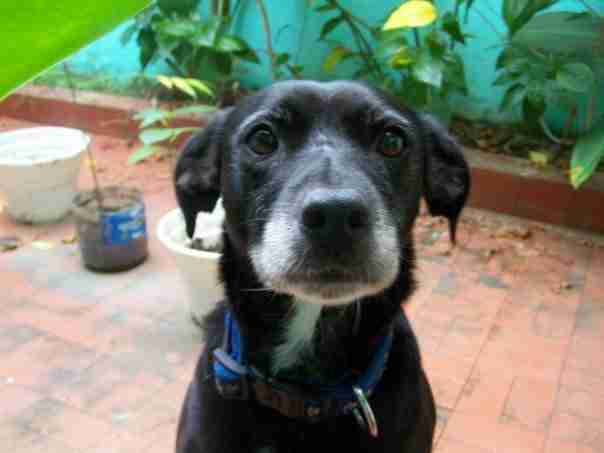 Woody (who passed away from old age a few years back now) was a beautiful black staffie cross with a white bib and a somewhat grumpy demeanor. Woody While I was living out there I seemed to become something of a homing beacon for stray dogs and, at one point, was sharing my small wooden cabin with Woody, my adopted street dog, Chambira, and her litter of puppies as well as another dog, Latika, who Chambira had met on a walk and seemed to have invited back to my house to live. Once she was old enough to be away from her mum, one of Chambira's puppies, Mojo, was taken on by my friend, Hannah, who lived in the cabin next door to me. Mojo at this time was a tiny bundle of energy; coffee-colored in the body with darker floppy ears. She adored Woody. He tolerated her, just, but they could not have been more different. Mojo One day when Hannah and I came home from town together, we were worried to discover that Mojo was nowhere to be found. She had simply disappeared. The reserve where we lived was secured by a fence and it was normal for the dogs to spend their time during the day playing close to the house. But they didn't leave the reserve and Mojo very quickly learned this from following her mum, Latika and "Uncle" Woody. The gang would always be sitting on my porch waiting for us when we returned home, a mess of wagging tails and excited yowls. But today, Mojo was not there. We searched everywhere for her. We went to the neighboring community and knocked on every door, asked every person we met and walked for kilometers in all directions, leaving information about her with every household in the local area. The local children knew Hannah and I well and they loved the dogs. 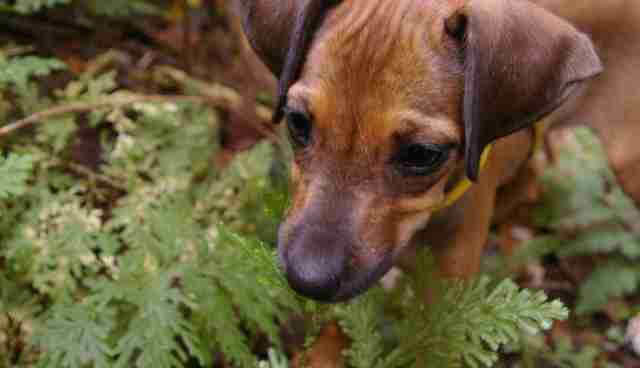 They were keen to help us find Mojo and bring her home safely and so they began to search too. After 24 hours there was still no sign and we were getting increasingly worried that Mojo had either been stolen or injured and couldn't get home. So, imagine my delight when I climbed down off the bus from town that day to be met by a group of children running towards me shouting "Liz, Liz, encontramos el perrito!" ("We found the puppy!"). They dragged me by the hand through the community to the house of a friend proclaiming that they had saved the puppy and that the puppy was now safe. I was overjoyed. That was until I reached our destination and found, not Mojo, but Woody sitting patiently by the house of my friend with a long piece of string attaching his collar to the steps up to the door. He tolerantly let the children pet him as he looked at me as if to say "What is all this fuss about?" Despite my disappointment we hadn't found Mojo, I couldn't help but laugh. I asked the kids if they knew who this dog was and they nodded, smiling proudly: "He's your dog! We found him!" I asked if they knew his name and they nodded vigorously "Woody!" they chorused. I explained that it was Mojo, and not Woody, that we were looking for but it was really great they had tried to help. It turned out that the kids knew full well that we were searching for Mojo, but it seems that they were so eager to help that they got a little carried away with the idea of the "rescue mission" and just wanted to rescue someone, even if it wasn't quite who they were supposed to be looking for. I thanked them for their efforts, untied my buddy and he trotted home next to me. Before I go on, I should say that, it transpired that Mojo had been stolen and, after a concerted effort, we were able to track her down unharmed, and bring her home just over a month later. It may seem like a redundant statement as it is so obvious, but the point I want to make is this: At that time when we were so desperately worried about Mojo and what had happened to her, "rescuing" Woody (who had no need or desire to be rescued) did nothing to help release Mojo from the tiny kennel it later transpired she was being held in at that time. But it is this, seemingly logical, point that brings me to the purpose of this piece. In our campaign work on zoos, perhaps the most common response when we share our concerns over the wellbeing of the animals who will spend their entire lives in captivity runs along the lines of: "At least they are safe in the zoo". 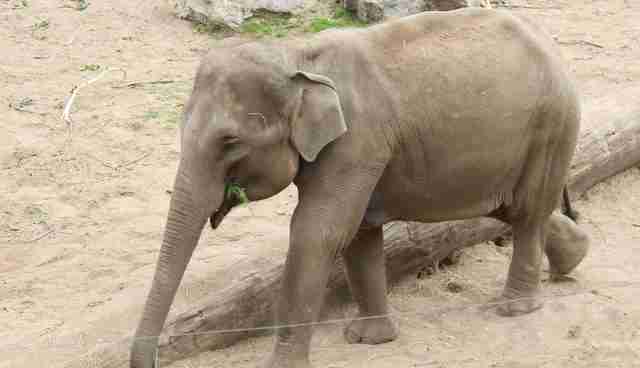 We share concerns about a new-born elephant who looks set to spend the next sixty or seventy years in captivity. The response: At least she's safe from poachers there. We highlight worries about the wellbeing of a big cat who spends his days pacing up and down in his tiny zoo enclosure. The response: So I suppose you would rather he was killed by hunters then?! We point out that the rhino standing motionless in a cold muddy field in the middle of the UK was born, and will die, without ever knowing his natural environment. The response: At least no-one will hack his horn off and leave him to bleed to death in the zoo. When I hear these arguments, I am always reminded of Woody; sitting patiently and tolerantly as I explained to those children that they had got the wrong dog. Explaining that it was another dog entirely that was in danger. Another dog entirely that needed their help. That tying Woody up would not bring Mojo home. Animals in zoos have not been rescued from the "dangerous" wild, nor will the vast, vast majority of them ever be released to live in their natural environment. Keeping animals in zoos is not a case of keeping animals safe from harm because the animals born in zoos and the animals living in the wild are different individuals entirely. They are not interchangeable and they are not connected by an invisible thread whereby our treatment of one affects the experiences of another. If an elephant is born in a zoo and dies in a zoo, that doesn't save the life of an elephant in mortal danger in Africa. The elephant in Africa still dies if nothing is done to save her. 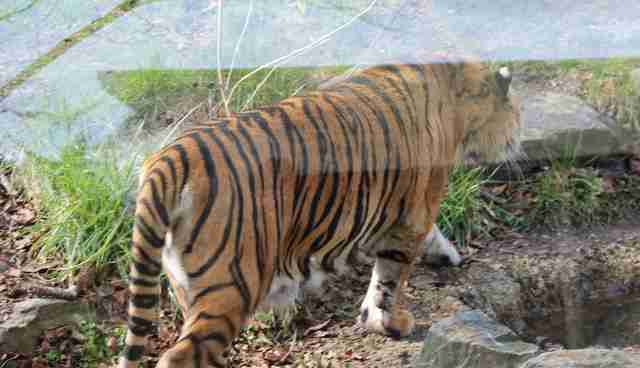 If a tiger is killed in Sumatra, his spirit isn't magically transferred to a new-born cub in a European zoo. He is still dead. He has still suffered. You cannot bring him back. 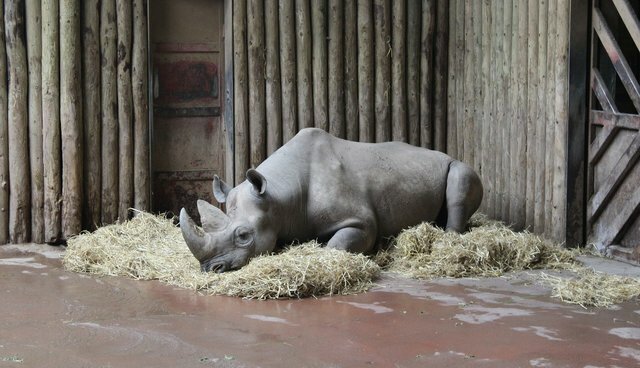 The suffering of a rhino who has been cruelly maimed and left for dead will not be cancelled out by the keeping of another rhino in captivity in England. Her birth does nothing to prevent poaching of free-living elephants. "But what about saving species?" I hear you cry. "Sure, an animal born in a zoo might not stop another animal from being hurt in the wild, but at least it means the species can keep going. That's something to be celebrated, right?" I don't think so. Let me explain why. We could accept, as it seems the zoo industry would like us to, that animals are not important as individuals and our concern should be focused only upon the conservation of species. We could buy the line that differentiating between individual animals, like Woody and Mojo, is unnecessary. We could accept that a dog is a dog is a dog. Or an elephant is an elephant is an elephant. We could accept that a tiger is simply a vehicle for tiger DNA and, as long as there are just enough tigers alive on the planet and enough genetic material to keep making new tigers then the quality of life of the individuals is not important. If we buy into this mind-set, it is okay for a tiger to spend decades pacing around in a cage because it is his genes, not his experience, that is important. If we accept this position, we could dismiss the obsessive swaying (a behavior indicative of deep-seated mental distress) of an elephant held captive in a zoo because the very existence of her DNA within her tormented body allows us to pat ourselves on the back and say that her species is not yet extinct. And when another free-living elephant is killed by poachers, we can feel reassured that there is still that swaying elephant in the zoo to make up for the loss. It becomes little more than a numbers game. But I don't accept this. I can't accept it. Because, whilst species conservation is undeniably important, so is compassion towards the individuals that make up that species. Why? Put simply, because a species cannot suffer but an individual can. Of course, we can all recognize that some animals belong to species which needs protecting, and that the survival of those species is important for the health and continuance of important ecosystems. But let's not use that as an excuse to treat individuals badly. It is because I believe that the individual is important that, despite the fact that I had an abundance of doggy DNA in my house at the time Mojo was missing; we didn't give up trying to find her and bring her home. Because, to us, it was Mojo - the little brown puppy with the floppy ears who liked to chew furniture and annoy Woody - that was important, not her genes. If you too believe that the individual is important then it means we can't continue to support the breeding of tigers who will never be released to the wild in captivity and pretend that, in doing so, we are sparing a tiger in the wild from a grizzly death. It means we should, instead, support the protection of tigers in the wild who so desperately need our help. If we care for the individual, then we shouldn't celebrate the birth of an elephant who will spend up to seven decades in the same small enclosure under the false assumption that her life of relative safety is somehow canceling out the violent killing of another elephant living in freedom. Instead, we should do what we can to support anti-poaching initiatives to protect those elephants in mortal danger. His captivity will not prevent the grizzly death of a free-living tiger. If we can look beyond the species and towards the individual then it becomes clear that the belief that one animal deliberately bred into a life in a zoo is one less animal to meet a terrifying and violent end is misguided. Rather than reducing suffering, breeding animals in zoos is adding to it by creating even more lives which, from the outset, cannot possibly be lived to the full. Just as those children tying up Woody with the very best of intentions did nothing to bring Mojo home to safety, nor will holding millions of animals captive in zoos protect and save those free-living animals who so desperately need our help and support. Conservation of species and protection of individuals does not happen in zoos, it happens in the wild. Please, direct your concern and your efforts to the amazing work being carried out by dedicated conservationists working to do just that and please, do not visit the zoo.